Cleft of The Rock Ministries is in preparation for events and activities as we are about to enter the dry season here. The weather does dictate to a certain degree what we are able to accomplish. 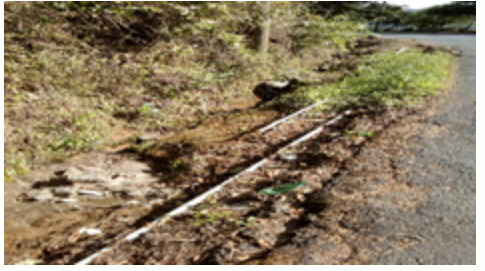 Through the rainy season some roads in the mountain area are impassable due to washouts and mudslides. During the past few months we have been involved in the activities at the Suzama Community in Oma district of San Felix. This is the area where we had the water well drilled in May, this past spring. We were informed that they wanted us to participate in a dedication of the well, while at the same time the church would be celebrating their 25th Anniversary. Planning for the event required valuable time and resources. We inquired into how many people would be attending and were given a number of 500. The church is located in the mountains and therefore the people would have to get there by walking or riding horses or taking the bus. Either way the effort that these people put forward was quite admirable! The planning for this event included contacting Bro. Ricardo George and his wife Elli from Panama City. Ricardo and Ellie are old friends and stayed with us for two days. Ricardo helped to translate for us during Sam’s presentation.Our friends, Keith & Pam Vaness ,were also on hand for this event.They had worked with us to obtain funding for the well. They along with the Georges from Panama City stayed after the dedication of the well to distribute some “goodie bags”. Jane organized the packaging of the bags with the help of Ellie and Pam for the children. Packages of “personal care items” for the youth were coordinated with Pam. All these activities took place in the “Live to Serve” Feeding Shelter; annex of the church, which Cleft of The Rock Ministries supports. This made for a very busy exhausting event packed day and we are grateful for all who helped! Pastor Manuel Andrades and the congregation of the Tabernacle Of Worship in the Suzama Community certainly had a busy schedule also in promoting the event of their 25th Anniversary. He had invited Ngabe pastors of other mountainous areas to participate. One pastor brought some of his church group with him who participated in the song “Because He Lives”. Another Ngabe pastor, the main speaker for the event, conducted an evangelistic message which culminated with many youth going forward to accept Jesus as Lord. The final numbers of people in attendance was somewhere between 200-300! We were asked to speak about the well and the importance of water-especially in a developing third world country. Sam read a few facts about the importance of drinking water and also noted several Bible passages that addressed the subject of water and the life changing events that water played in Biblical times. Following our presentation we had a “Ribbon Cutting” at the Well Site. Many people of the community wanted to be in the photo’s that were being taken.There was also an Official from the Ngabe community,Frederic Giron, who had given us a notorized document with his signature affixed stating that the community would be responsible for the upkeep and maintenance of the well. Coming up this January 2018 ,we are planning an exploratory trip into the mountainous area of Soloy. Soloy is also on the Comarca, about an hour drive south east from Boquete. A situation exists where the Ngabe’s in a small community have a real need for good water access. 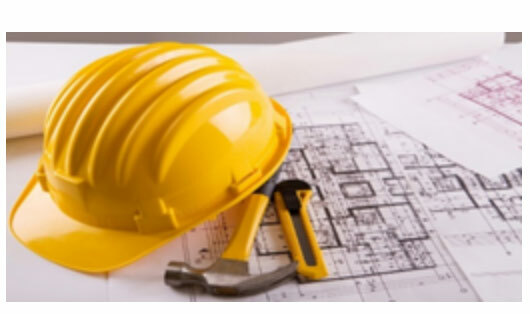 Researching the need indicates that there is a water tank and water line that have been placed into operation in years gone by, but proper maintenance has not been followed. Contaminated water is a choice that many choose to take because of extreme ruggedness of the area and the scarcity of good potable drinking water. Working through FICADEN, we want to do a survey and cost estimates to assist us in a solution so that we can help correct the problem . We need to also make certain that there is accountability for the maintenance and upkeep of the water source once it is repaired. 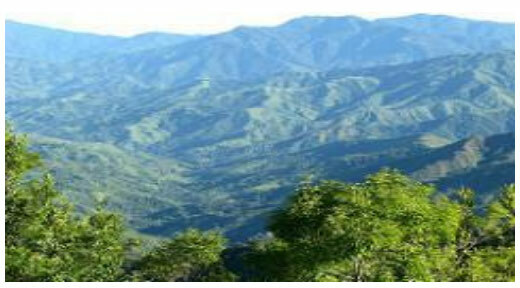 It is a rugged terrain that will require riding horses for approximately 1.5 hours to get to the main water supply. The children’s feeding shelter & education building at Llano Tugri will be located in the northern most point of the highway in the Ngabe Capital and is in the beginning stages of building. The Luis Tugri Feeding Programis currently held in a government building property with outside concrete floor without tables or chairs. No rooms for students, only one very small gov’t room for officials. They also have an afterschool program there.The new Luis Tugri Educational Center will serve the needs of the children in an afterschool program and feeding program within a real building. The Ngabes are interested in education and also retaining their culture. 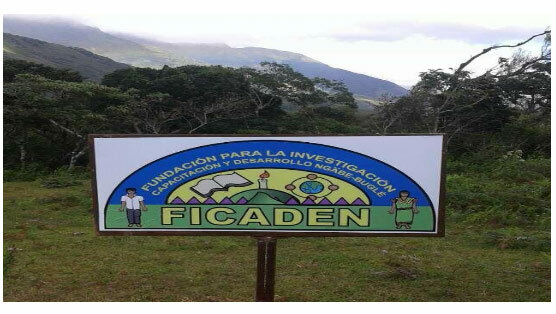 The FICADEN Group of Ngabe Professionals strives to meet the needs of the children by feeding and conducting afterschool Learning Programs while retaining cultural values.The building will facilitate the educational activities of the children. We are grateful to be at their side with this endeavor.We were able to provide the money for them to build the center-helping them to develop the next generation. We want to thank all the generous donors for helping to bring this dream of the Ngobe people to fruition. They are so excited and thankful that their people are getting help-FICADEN told us it is not the money alone- they are so thankful for our interest and caring for them as a people- even more than the money. I always remember when we were measuring for the building with the FICADEN group, and one of the members looked at me and said”You won’t forget us?”That touched my heart! How many people have promised to help them and then forgot about them as soon as they were off the mountain. As we celebrate Christmas and the coming New Year; we say “Thank You” to all who support our ministry in giving and prayers! You are very valuable in God’s sight! Look at what you have done so far! A water well that impacts many Ngobe’s health and way of life and an educational center for the future of the Ngobe children and nation! Two big dreams fulfilled in 2017 for some Ngobes who have prayed and hoped for many years. The President of FICADEN(she is a teacher) has had this dream for her people for 20 years! God came through with the generous people who donate. God Bless you all abundantly and to overflowing for your contributions. If you are making a year’s end contribution and need a tax receipt, please do so before December 31st. Christmas Greetings & New Year’s Blessings!